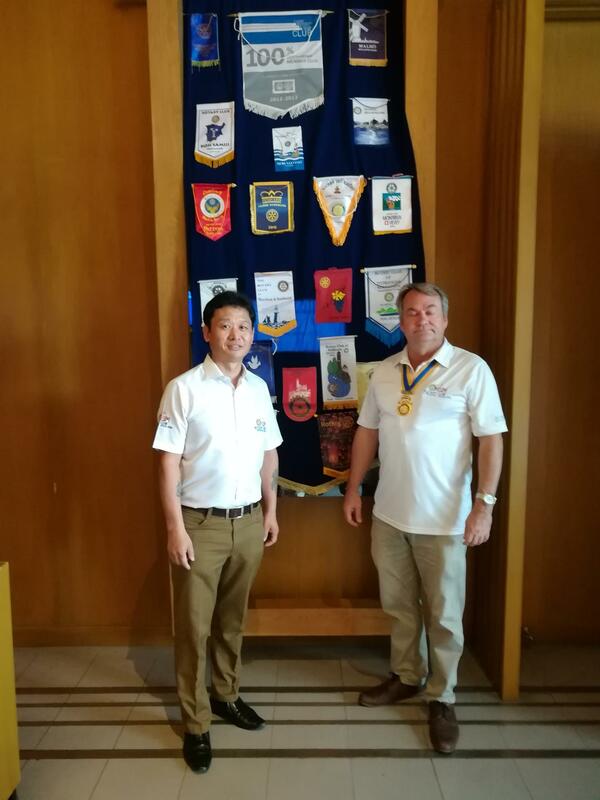 As so many Rotarians visit Hua Hin for their holidays or on business, it is inevitable they wish to call into the local English speaking club, especially during high season. 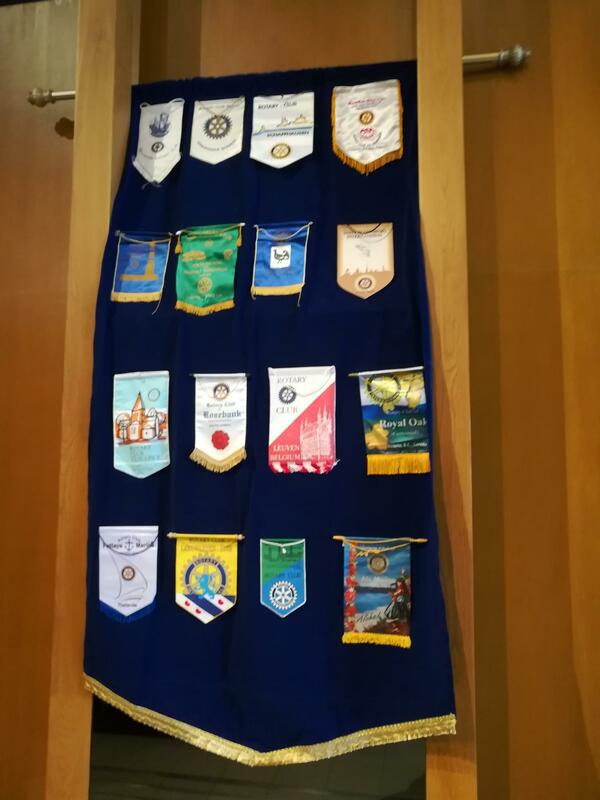 This inevitably means that many club banners are exchanged and these have historically been displayed on two much larger banners at each club meeting. 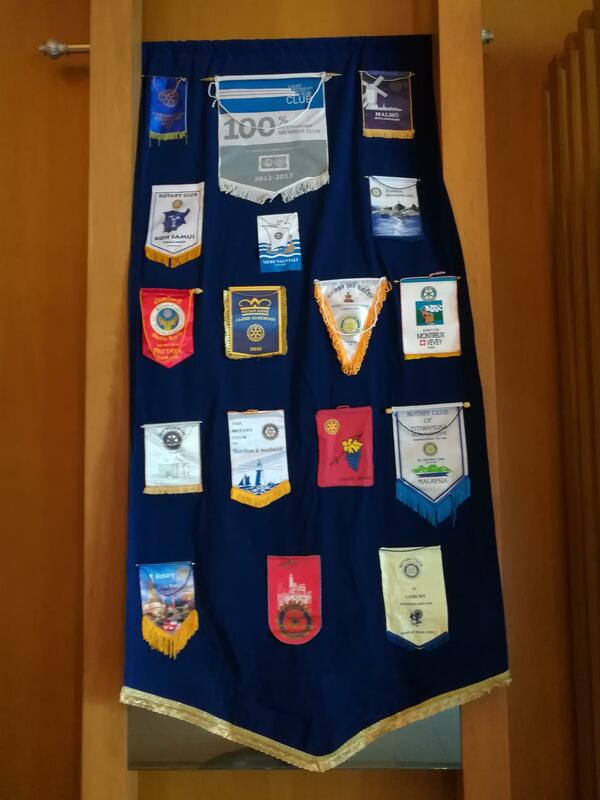 However even the two larger banners, were not enough to take the quantity of smaller ones, so Rotary Club of Royal Hua Hin member, and owner of local Tailors Picasso, Udai Rai, kindly offered and produced two further large banners identical in design to the earlier ones. He also had the additional club mementoes stitched on. 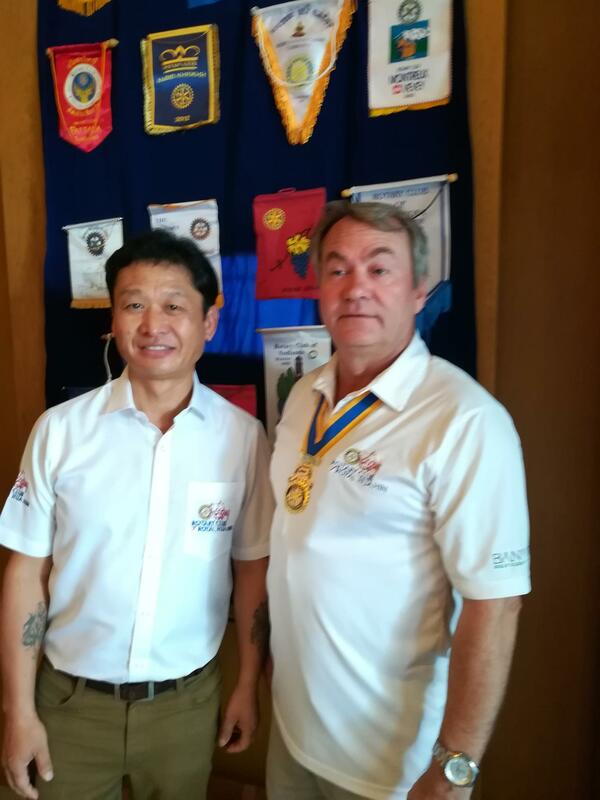 Picasso Tailor Co is the oldest Tailor's shop in Hua Hin and has been in business since 1993, Udai becoming a Rotarian during 2018. 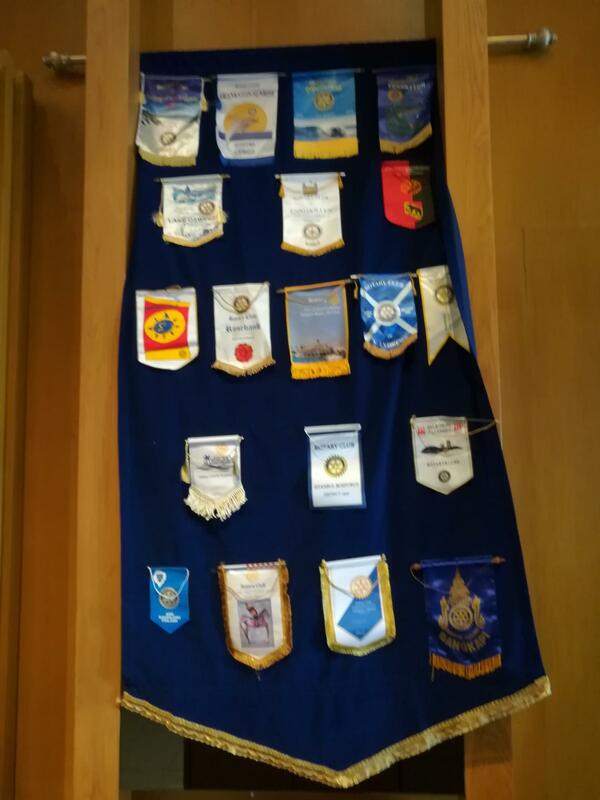 The new banners were formally handed over to President Brian Anderson at the weekly lunch club meeting on 26th March 2019. Interestingly there are already another 10 small banners to add, so Udai is on standby!